Olle Hagman built his Writer’s cabin in Sweden in order to have a natural haven from the hustle and bustle of his job as a professor of sociology at Gotenburg University. 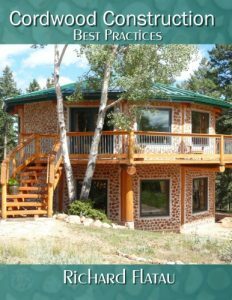 He wrote two articles for the Cordwood Conference Papers 2011: A Social History of Cordwood Houses in Sweden and Norwegian Cordwood Wall Technique. 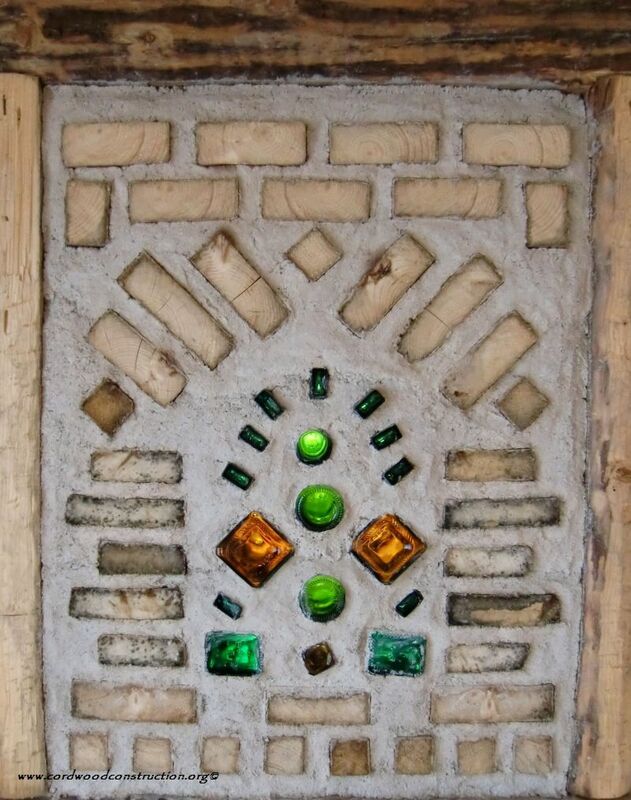 Olle presented these papers at the Cordwood Conference at the University of Manitoba on June 12, 2011. 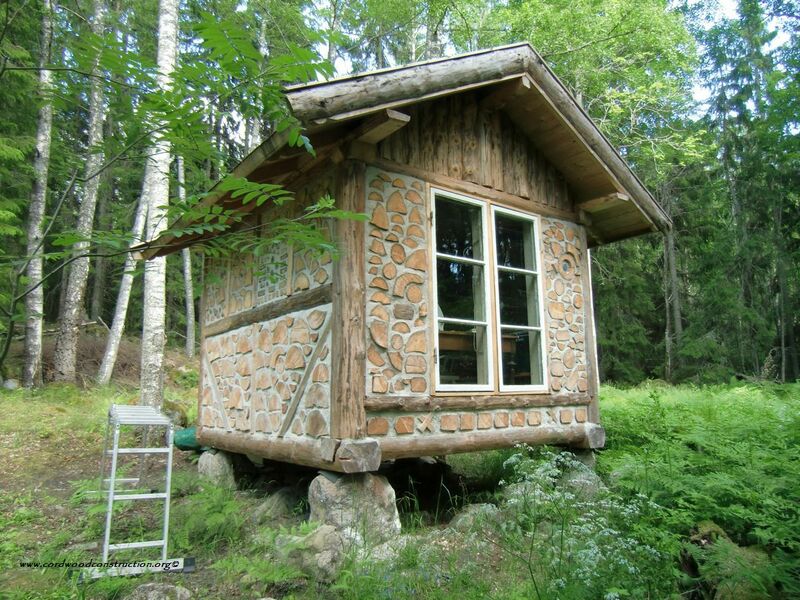 Olle built his cabin on four large corner stones that had been a barn foundation. The bottom sill logs are of 8″ x 8″ spruce. The cabin is small, in the tiny house tradition, only 9′ x 9′. The walls are seven inches thick and made of barked and dried, Swedish white spruce. Olle tried various mortar mixes, but basically used a mix of 8 sand, 6 wet sawdust, 3 mortar cement and 2 lime. He also used some cob (clay, sand, straw) because this is the mortar that was used in the early Swedish cordwood homes which are called Kubbhus in Swedish. Chopped and slurried paper was also used with a mix of 1 mortar cement, 2 sand and two paper. 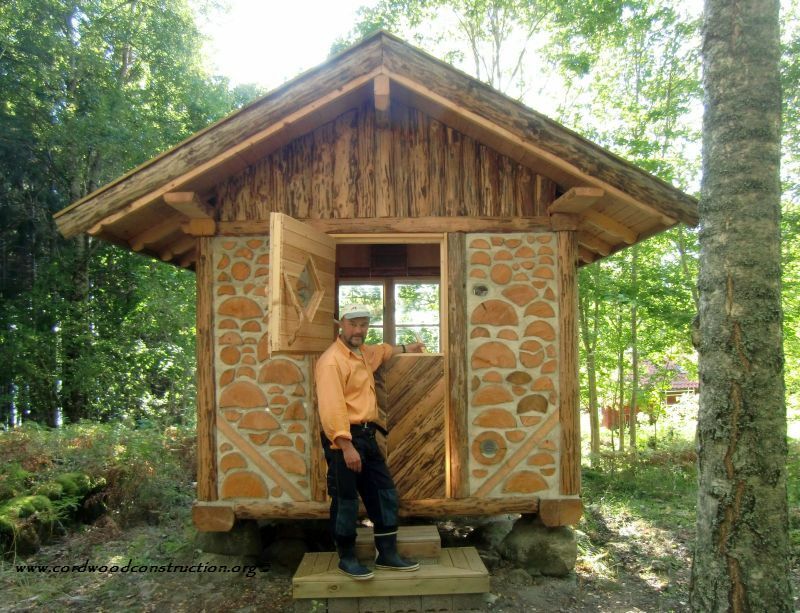 Olle is using the cabin for writing, but he is also building it to experiment with various construction ideas for the renewed interest in cordwood construction taking place in Sweden. 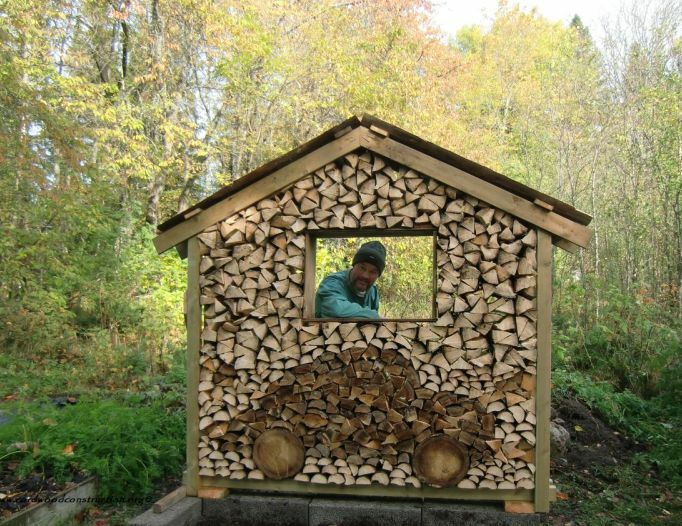 Olle will be teaching workshops and seminars on how to build Kubbhus/cordwood. As you can see, Olle has a sense of whimsy about him. His comment on this picture is that he is not going to charge Saab any royalties. 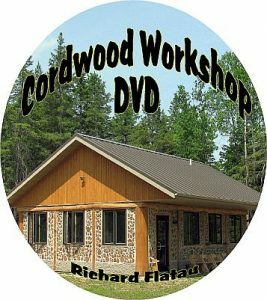 All the best to those of you investigating cordwood construction.